We are about to start restoring our mini so would like to add a decent alarm/Immobiliser/tracker, what do people recommend? I have a mate with an air cooled porsche that is increasing in value week by week. As such he looked into trackers to give him greater peace of mind, the VTS system which is effectively vodafone now was around £500 to be fitted and £300 for the subscription. Tracker is slighty cheaper to fit but the subscription is the same. Now, he fitted the unit himself as was pleased with the set up and customer service. As his car has not been nicked we dont know how effective it is but so far so good. I've no affiliation with the company just passing on the knolwedge. Let me know where you end up. Alarm and immobiliser - Toad AI606 will do everything youll ever need. Can be used as immobiliser - remote imobilisation via phone. 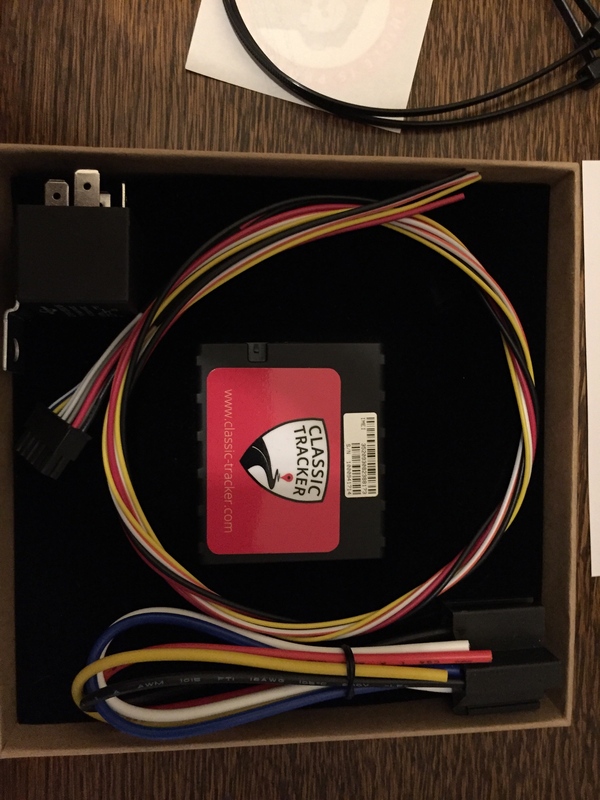 I use a https://www.rewirese...lematics-device myself for my car I definitely recommend it to anyone who is on the market for a car tracker. The company has an excellent customer service and the tracker itself offers great features for a relatively cheap device. You can consider Rewire Security products DB1 or DB1-Lite according to your needs but you can do no wrong with their vehicle trackers and save a lot of money compared to other stuff on the market. I've just ordered a kit from Classic-trackers.com, after speaking to the chap at the Revival. It's a subscription service, but only £99 a year- the money I'm saving being tax exempt covers it nicely. Comes with a GPS/Glonass/Galileo tracking unit, immobiliser and app that allows real-time tracking with Google maps and remote shut-off. It arrives tomorrow, if anyone is interested I'll update with first impressions once I've fitted it? Biggest problem i've seen is companies going out of business leaving you with an expensive brick. That is a risk I suppose, but I’d rather risk £300 buying tracker than lose £3k having my Hornet nicked! Very nice box! 😂 It looks to be a nice simple fit, and is all pretty small and innocuous. It comes with a sticker, but I’m in two minds as to whether I’d want anyone knowing it was tracked or not. Hopefully I’ll have it fitted by the weekend and I can get it registered and have a play with the app. How did you get on with it Mat? Edited by DannyTip, 11 October 2018 - 01:29 PM. Had absolutely no time recently; hopefully I'll get some time in the garage today. I've made up a bracket and mounted the module so far- not telling where though! That £200 is just for the tracker itself- I have the immobilizer relay also. Edited by Mat, 14 October 2018 - 07:09 AM. I've always used Tracker, the main reason being is it uses GPS and VHF systems. The problem with GPS/GSM is as soon as the car is out of site of satellites, i.e. inside a building, the signal is lost. I'd also recommend that if you're going to spend money on a tracking system that you first go for something a bit more obvious, such as a disklok. Have one of these on all my cars, and when they tried to take my daily car a few years ago (with the keys) it's the only reason they didn't get away before I got hold of the thieving little scumbags. Best money I've ever spent on the cars. They've shot up in price over the last few years, but can still get them cheap occasionally or off ebay.